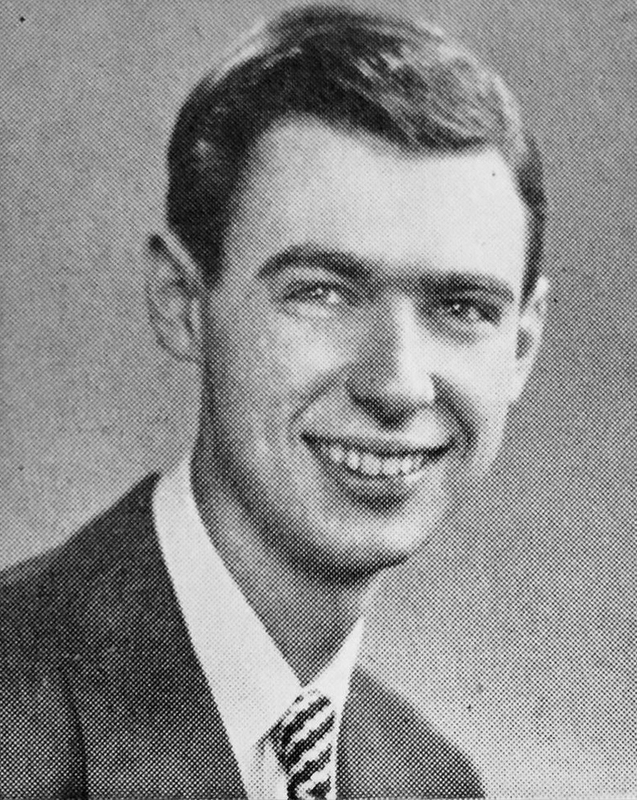 When Fred Rogers was in his senior year of college, he returned home to visit his parents and discovered something new in the house: a simple television set. It may seem mundane today, but for Rogers at the moment, he saw something bursting with potential. He took one look at the box and he knew that this was something he wanted to be a part of. But, as the years passed, Rogers grew frustrated with what appeared on his TV screen. What he saw as an instrument for good was being filled with distractions and manipulations. As he told CNN, “I went into television because I hated it so, and I thought there’s some way of using this fabulous instrument to nurture those who would watch and listen.” Rogers would end up spending the rest of his life doing just that. From the very beginning, Mister Rogers was finding solace in the Neighborhood of Make-Believe, but there was also something else that made him feel better: music. He began learning the piano at age five in thanks to influence from his mother and grandfather, who were both passionate musicians. Music was actually Rogers’ first passion—he would end up going to Rollins College in Florida to get a degree in Music Composition, which he put to good use. He wrote nearly 300 songs for Mister Rogers’ Neighborhood over its long tenure. Thankfully, Rogers’ childhood started to get better as he grew older. He became more confident and started making friends. But his love for music and imagination never left him, and when he first set eyes on that television set in his senior year, he already had all the skills he needed to put it to good use. After college, Rogers would spend several years working various jobs for several musical television shows, but in 1952, a new opportunity arose. The country’s first community-funded, educational TV station was getting started, and they wanted Rogers to develop its programming. Not only was it the exact kind of thing that Rogers had envisioned for television from the start, the station, WQED Pittsburgh, would bring him back close to his home. How could he say no? One of the shows that was put on the air at this new public television station was called The Children’s Corner, which began in 1954. 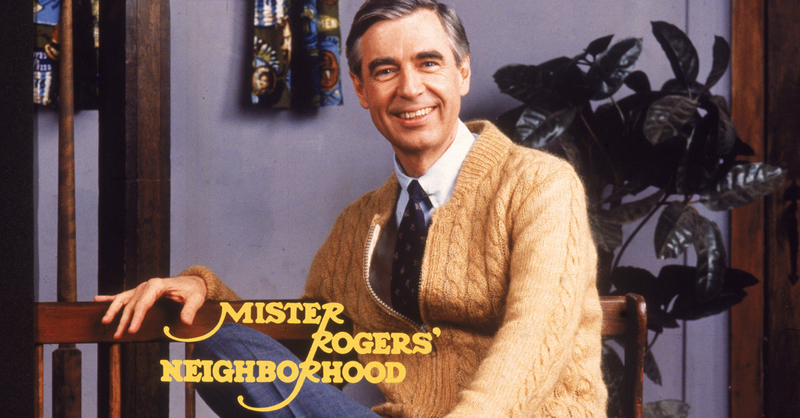 Though Rogers was never onscreen himself, it would lay the groundwork for what much of Mister Rogers’ Neighborhood would become. 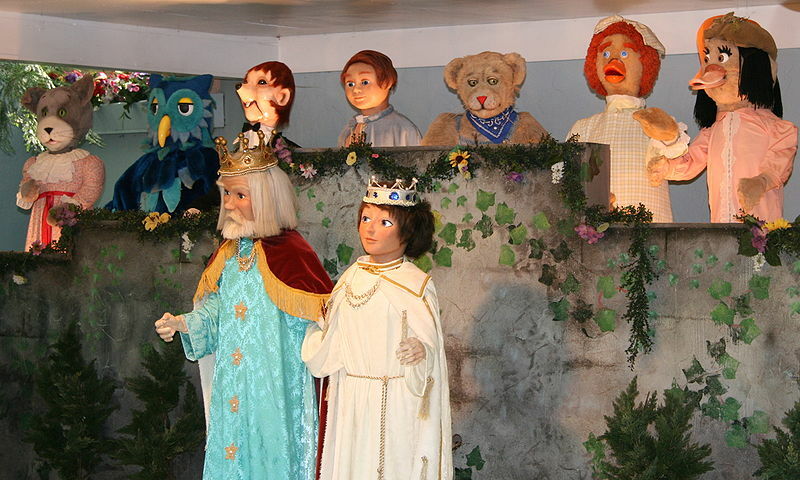 Rogers worked as a puppeteer on the show, and he developed—and voiced—many of the characters that would eventually become beloved the world over, such as Daniel Striped Tiger, X the Owl, King Friday XIII, Henrietta Pussycat, and Lady Elaine Fairchilde. During his early years on television, Rogers went to seminary when he wasn’t working, and he was eventually ordained as a Presbyterian minister, but even his church could see his special calling. After he was ordained, he was told to continue his work in TV. He would work behind the scenes for years until 1963, when a Canadian television executive named Fred Rainsberry called him up. He had recognized Rogers’ potential, and told him: “Fred, I’ve seen you talk with kids. Let’s put you yourself on the air.” He wanted Rogers to develop a 15-minute children’s show called Misterogers for the Canadian Broadcasting Corporation. Rogers agreed and moved to Toronto to begin his career as an unlikely TV star. Misterogers aired on the CBC for three years, and it saw the origin of many iconic symbols from the Neighborhood, such as the Castle, the Eiffel Tower, the Tree, and the Trolley. But while the show was an amazing start, when the opportunity arose to come home and air for American children, Rogers took it. In 1966, he took his show back to Pittsburgh, working once again for WQED—but don’t feel too bad for Canadians. They lost Mister Rogers, but a puppeteer from Misterogers named Ernie Coombs stayed North of the border, and he would eventually fill the void Rogers left with his own show, Mr. Dressup, that would go on to be beloved by generations of young Canadians. Eventually, National Education Television wanted Rogers’ show to be seen all across the country. And so, in 1968, that first, half-hour episode of Mister Rogers’ Neighborhood aired for children all across America, as it would until 2001. From the beginning, Rogers knew exactly what he wanted his program to be, so it should come as no surprise that it changed very little over its long life. He always started the show by coming through the front door, taking off his raincoat, suit jacket and dress shoes, and putting on one of his iconic sweaters—which he later revealed were all hand knit by his mother—and sneakers. The episodes would usually follow a given theme, would feature a trip to the Neighborhood of Make-Believe, and he would always close with another song. This was the format of the very first episode, and it would remain the same even after hundreds of shows. Throughout the decades, Rogers’ unending effort to make every child he came across feel loved and respected was nothing short of remarkable. For years, whenever he would feed his fish in the show, he would say out loud what he was doing, because he once received a letter from a blind girl who was worried that the fish were going hungry. He didn’t just do this once—after he’d read that letter he did it every single time, because every single time he thought of that little girl and did not want her to worry. Fred Rogers got into television because he believed it could be an amazing tool to help educate and support the children of the world. As he said while speaking to Congress about the importance of public television, “Those of us in broadcasting have a special calling to give whatever we feel is the most nourishing that we can for our audience. 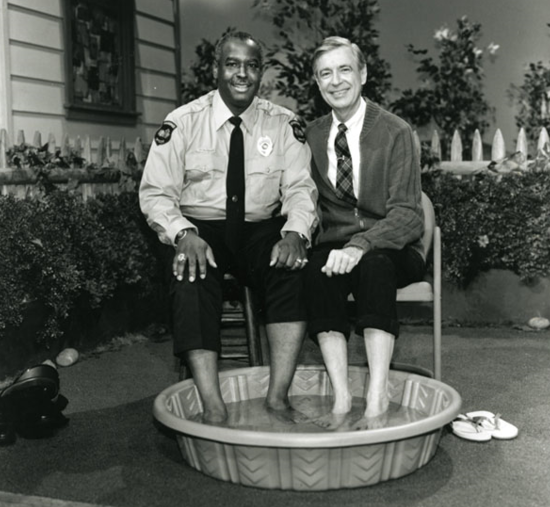 We are servants of those who watch and listen.” Though sadly it may seem like this is a rare sentiment today, Rogers believed this to his very core, and he took this obligation seriously for every single one of the 912 episodes of Mister Rogers’ Neighborhood. His dedication to the children of America did not go unnoticed. He received the Presidential Medal of Freedom in 2002 for his contribution to the well-being of children and for the example he set after years on public television. He was given more than 40 honorary degrees from such colleges as Yale University, the University of Pittsburgh and Dartmouth College, and he earned countless awards for his work. 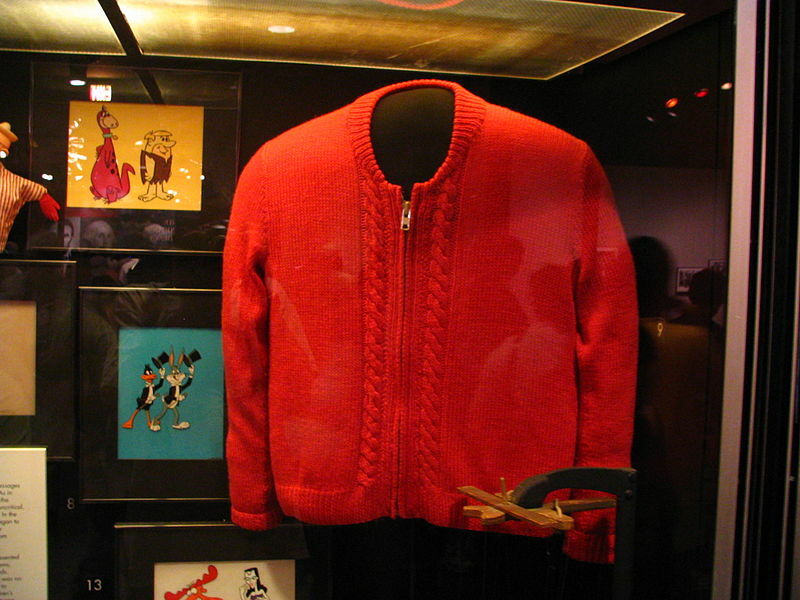 One of his sweaters was even put in the Smithsonian Museum as a “Treasure of American History.” He passed away on February 27, 2003, just shy of his 75th birthday. The next day, the Pittsburgh Post-Gazettededicated an entire section of its paper, and most of the front page, to Rogers. More than 2,700 people attended his funeral. Mister Rogers knew that the world could be a dark place, but he always saw the light in it. Perhaps that’s why there has been such renewed interest in him in recent years. The upcoming film You Are My Friend starring Tom Hanks will examine how Rogers deeply affected a cynical Esquire reporter who was tasked with writing a profile about him. The 2018 doc Won’t You Be My Neighbor? has become the highest grossing biographical documentary of all time, and it sits at 99% positive reviews on Rotten Tomatoes. Rogers’ continued idealism in the face of adversity and the unwavering care and kindness he showed his viewers for so many years are rare gifts, and he’s still fiercely admired, even 15 years after his death. His show might have seemed corny at times, and his refusal to update it as the years went by may have seemed obstinate, but Fred knew what he wanted television to be the moment that he first looked at one. His place on public TV meant that he never needed to bow to pressure from advertisers or corporate leanings, and he was free to do what he thought was best. The longevity of Mister Rogers’ Neighborhood, and the man’s continued legacy, are proof enough that, no matter how cynical we may get about the world we live in, it will always have the potential to be good, as long as there are good people in it, and Fred Rogers was one of the best.